The YCF 50A runs a 49cc 4 stroke, air cooled, single cylinder engine. 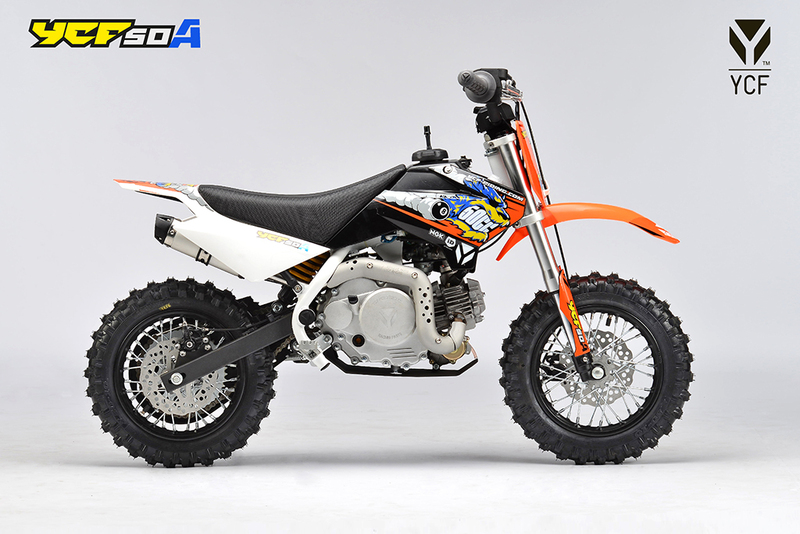 It has a 4 speed automatic gearbox, electric start and weighs just 42kg ready to ride. DIMENSIONS. Wheelbase 850mm, total width 565mm, total length 1230mm, seat height 450mm.